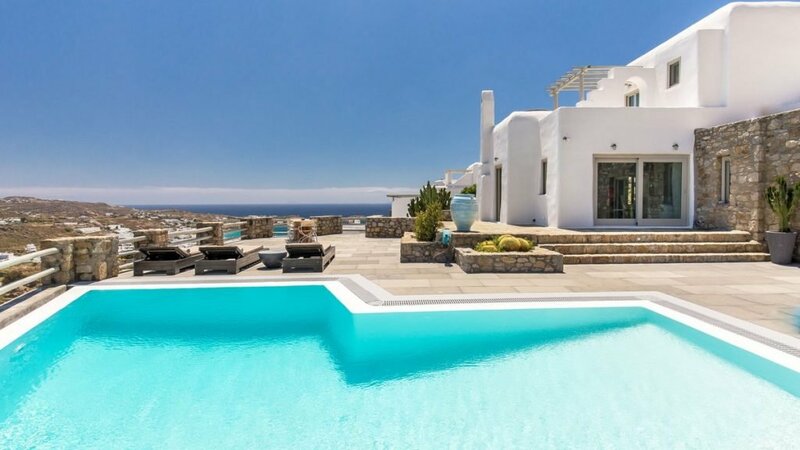 Villa Paco rises at the corner of a residential development of private villas located just off the main road in the prestigious area of Agios Lazaros. 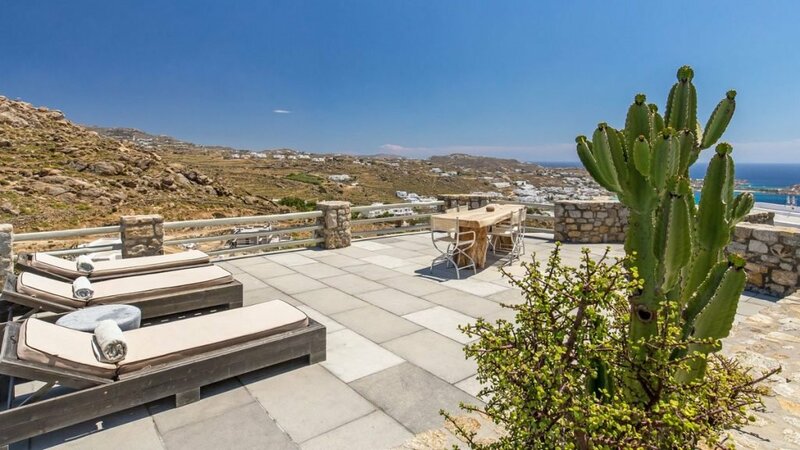 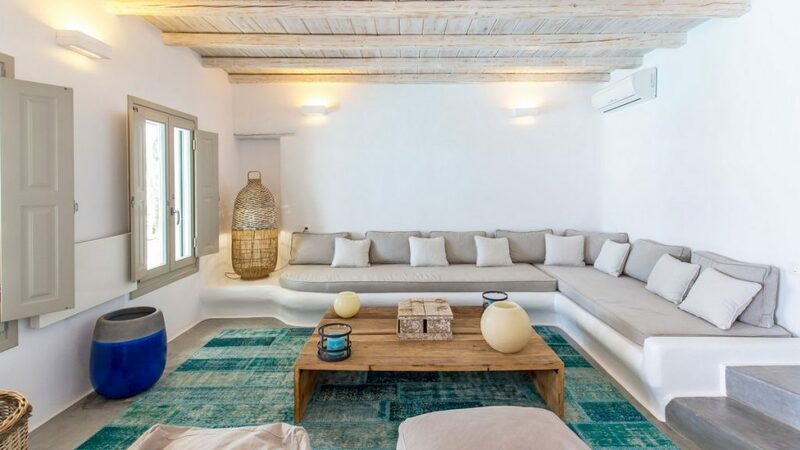 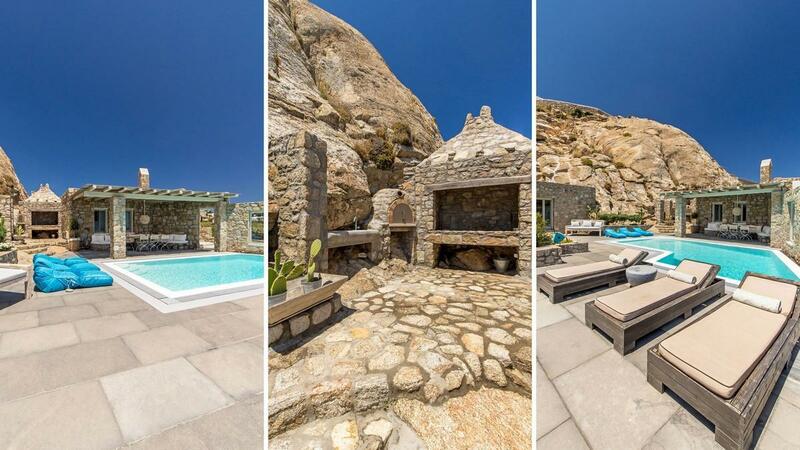 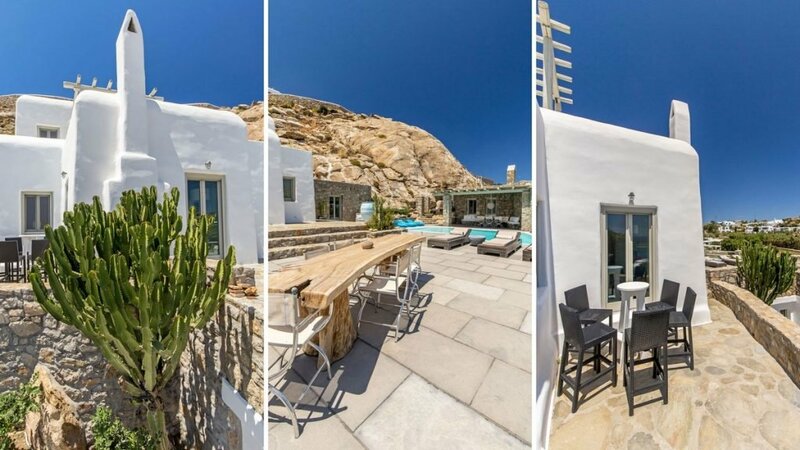 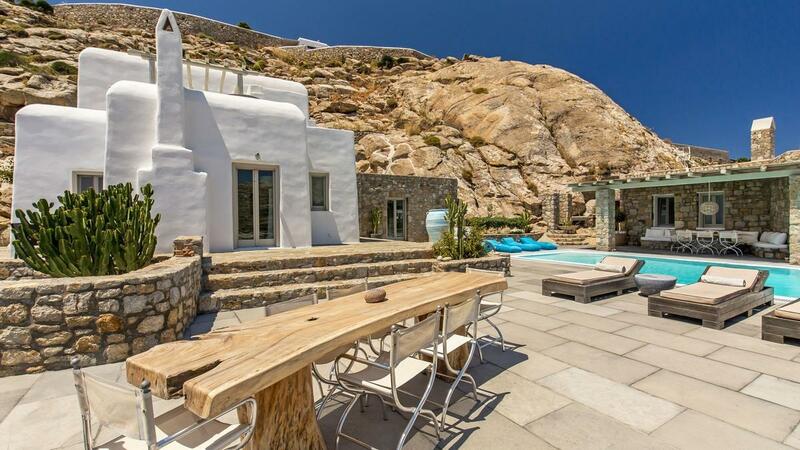 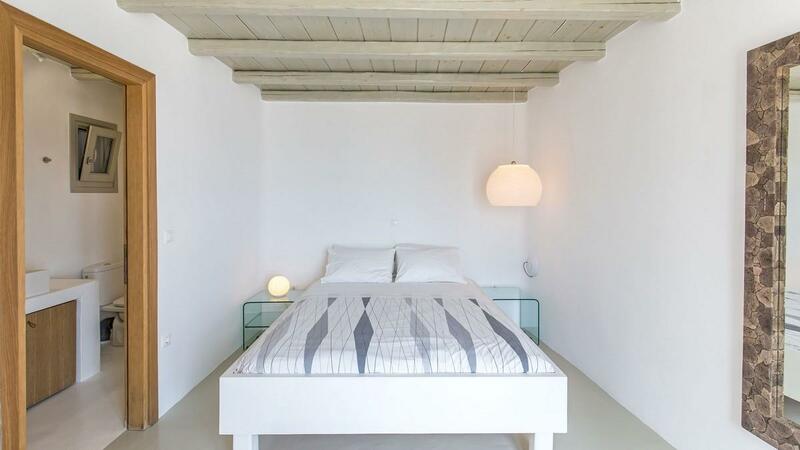 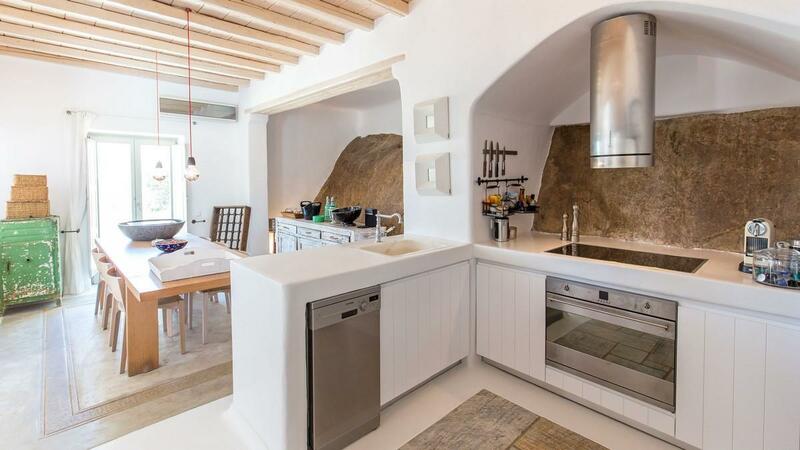 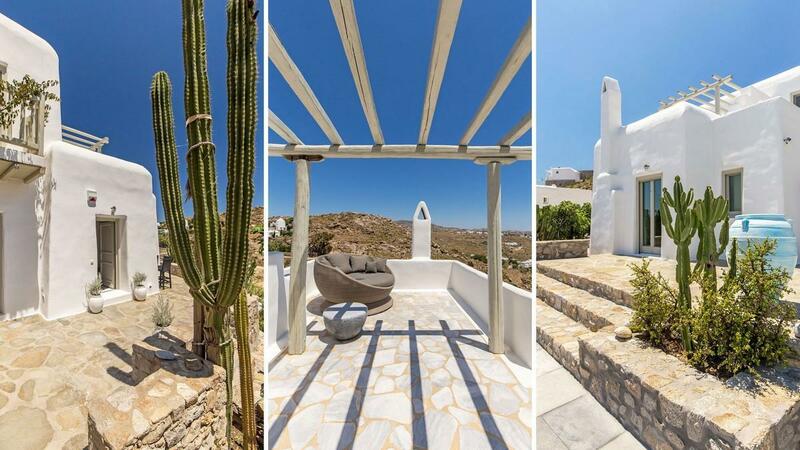 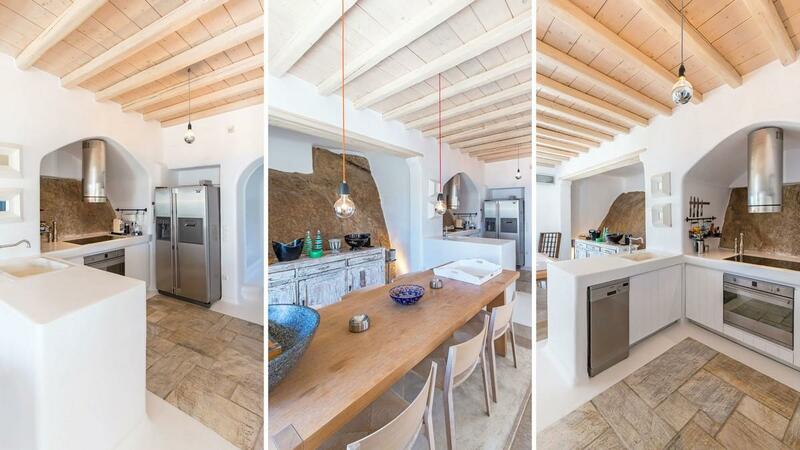 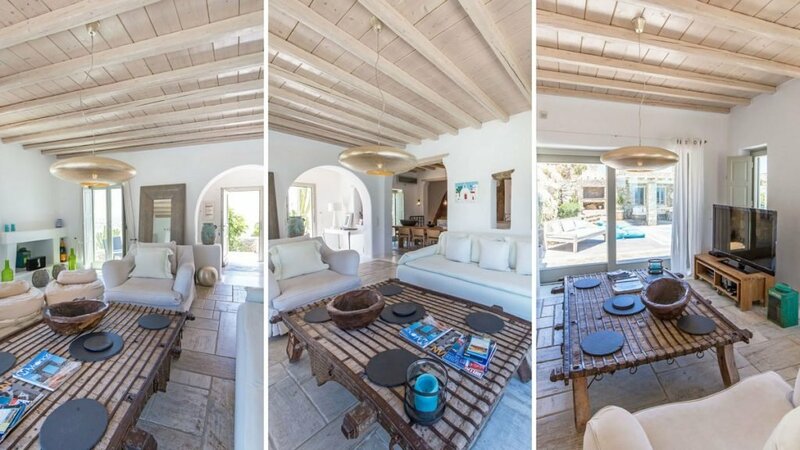 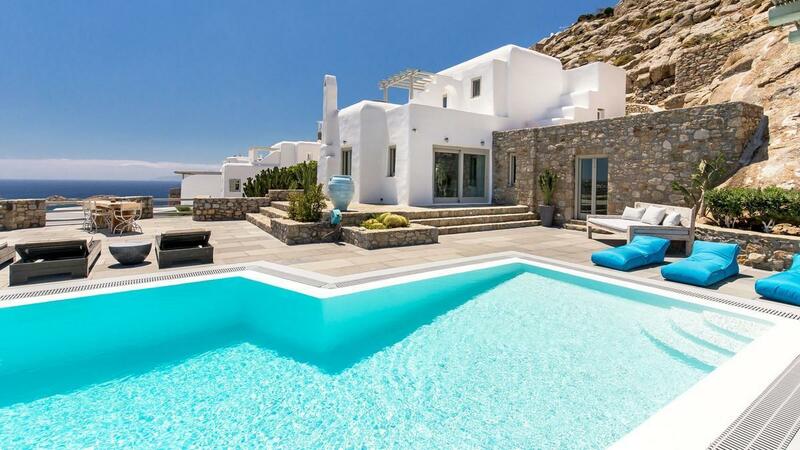 The location combines two very sought after features mixing a view of the Aegean with easy access to Mykonos Town and the famous Psarou beach - home to one of the best restaurants on the island. 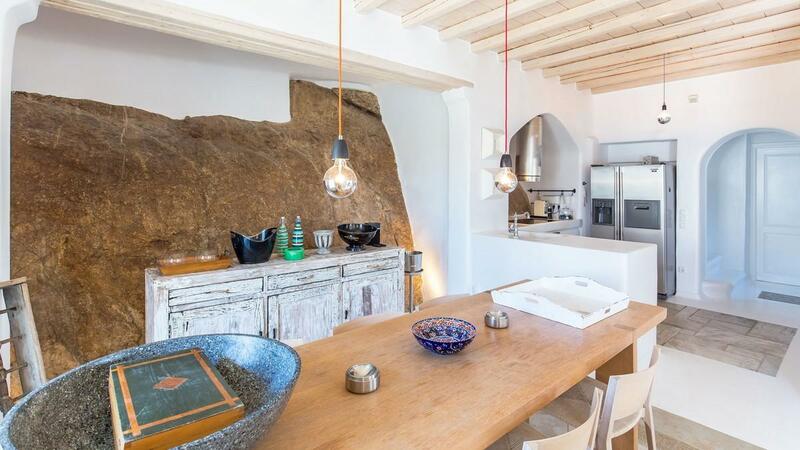 An eclectic vibe is featured throughout the indoor where vintage elements, natural rock surfaces and modern fixtures blend harmoniously. All spaces on the entrance level spill onto the pool, connecting the indoor and outdoors seamlessly. 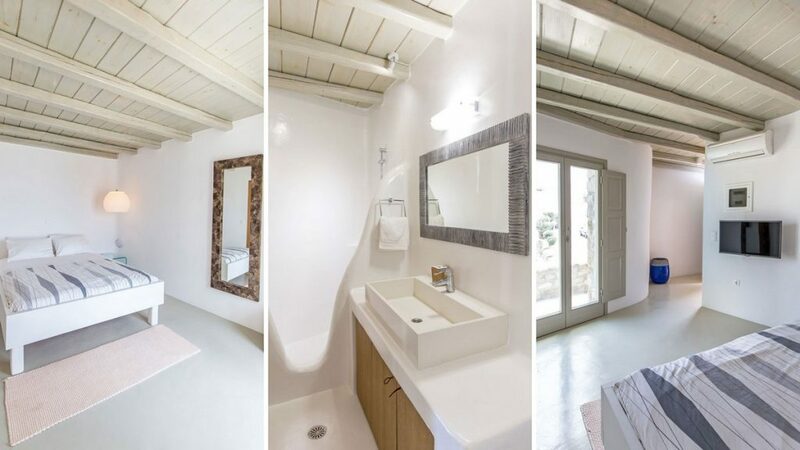 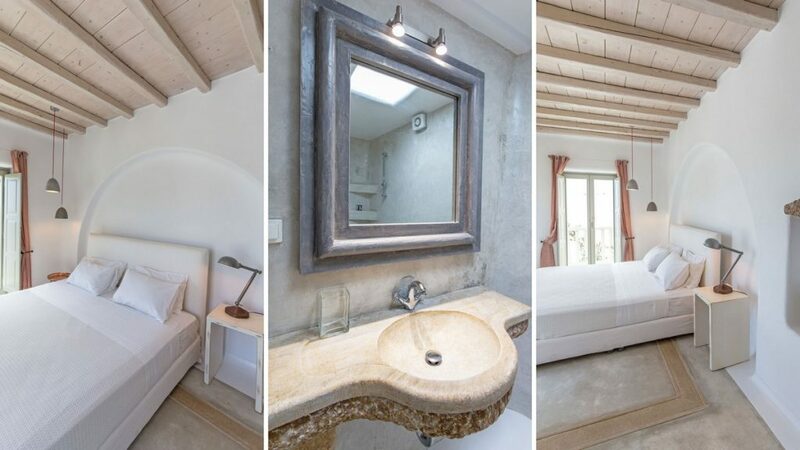 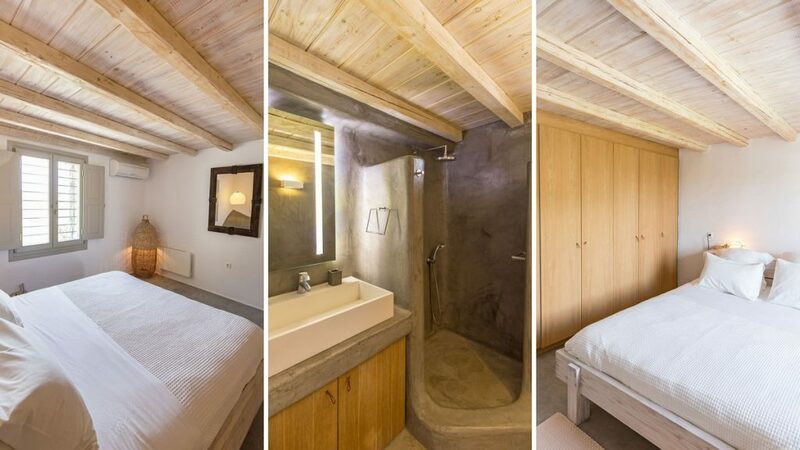 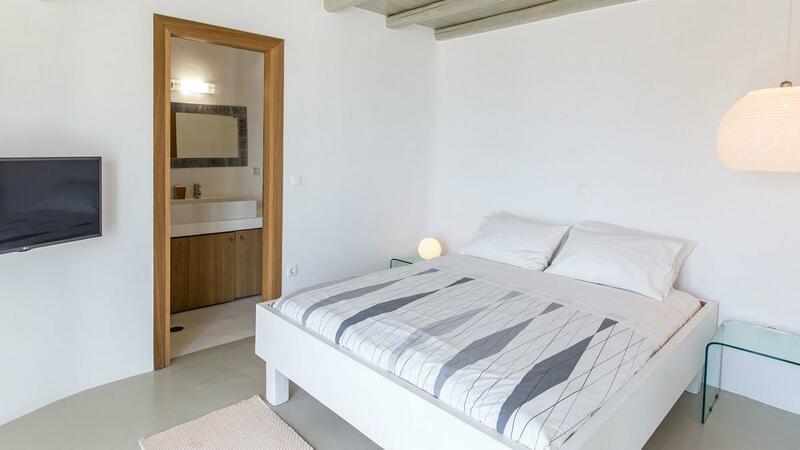 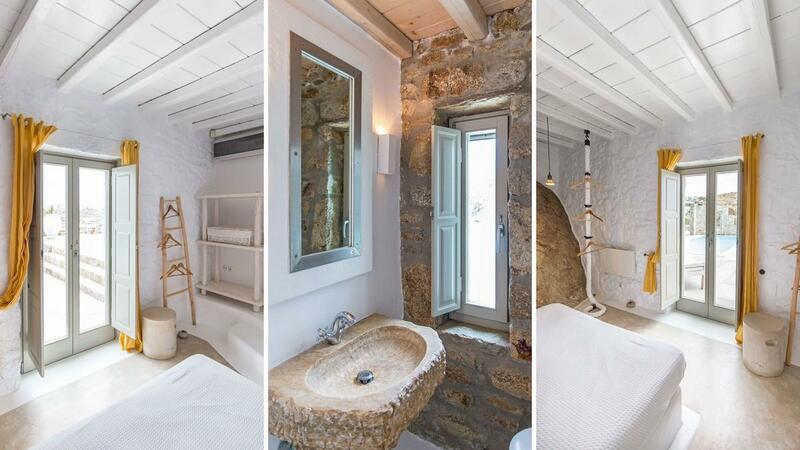 The architecture and style have all hallmarks of the Myconian design, be it in the 5 en-suite bathroom or the common spaces. 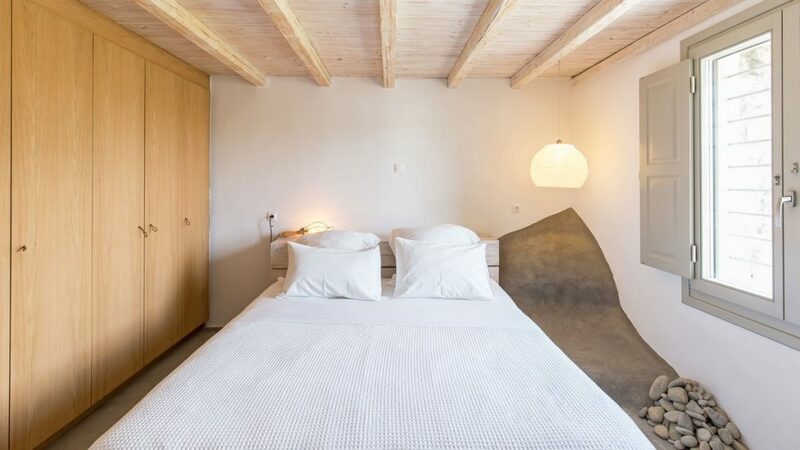 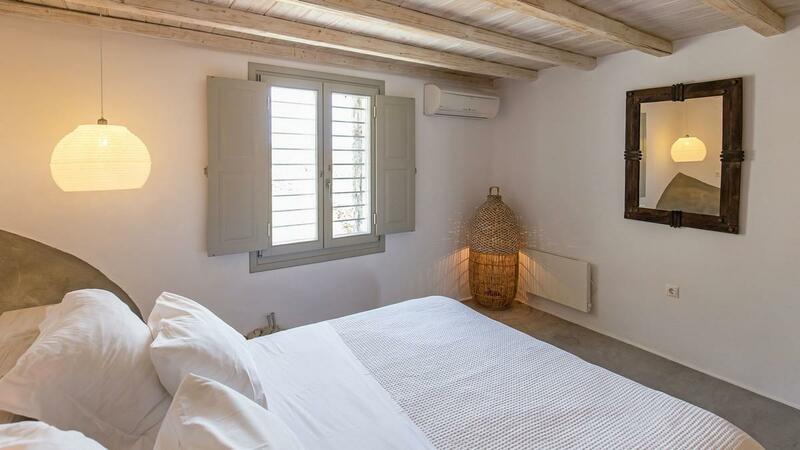 Villa Paco is the ideal spot for guests looking to be close to the happening area of the island while enjoying a holiday in a charming Cycladic summer residence. 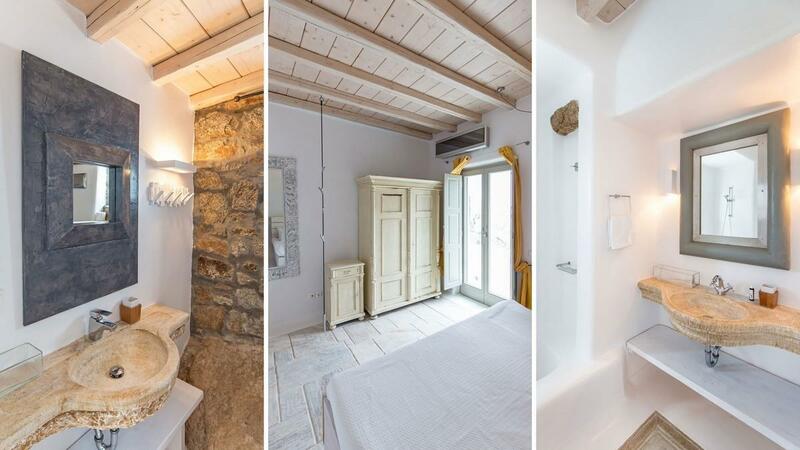 2 hours daily maid service, change of bath & pool towels daily, linen twice weekly.